One of my reasons for loving fall’s brisk and breezy weather is that it’s perfect weather for this Chloe double-breasted caped trench coat and lace up boots. And although Enda Mode of the Incredibles would strictly advise against capes, I’m sure she’d make an exception for this one. 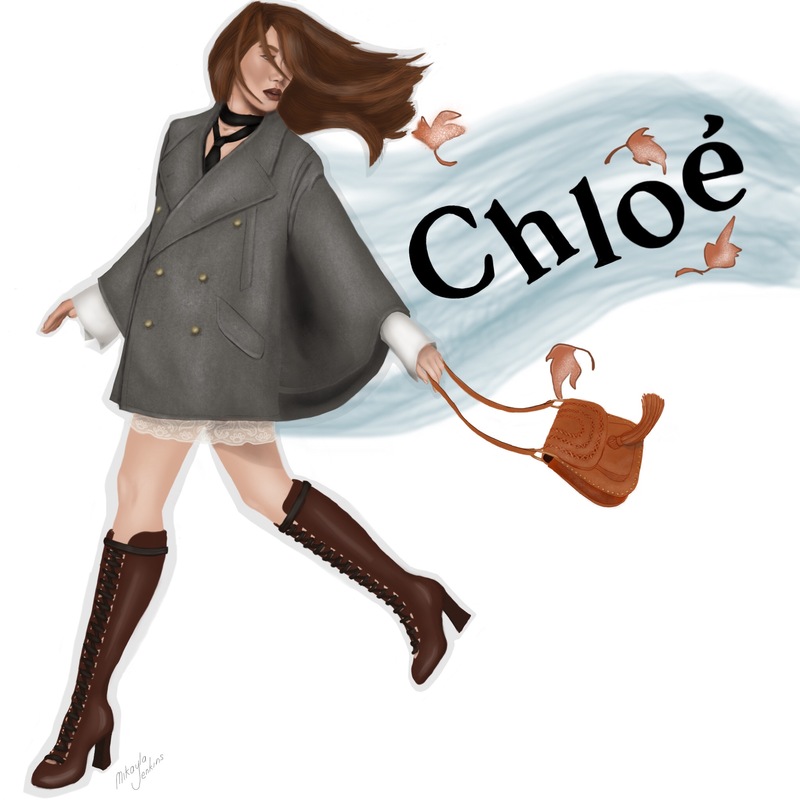 This illustration is simply beautiful Mikayla! I agree the cape coat is stunning and definitely has superhero associations!